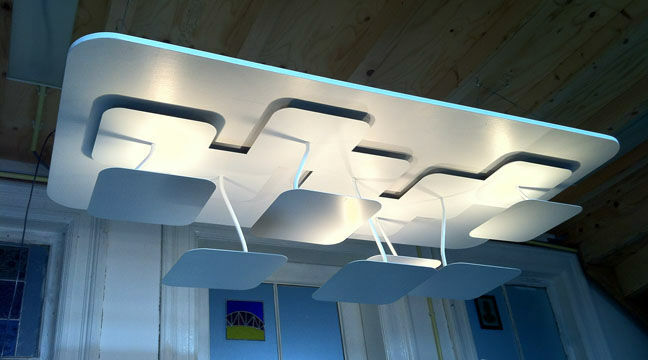 This beautiful uplighter ceiling lamp is inspired by new born organisms. Our vision is to bring architectural spaces alive using the power and the rythm of patterns from the nature. It can be powered with all kinds of light sources like LED, Compact-Fluorescent or ECO-halogen. It delivers a pleasant light with high luminosity and soft shadows.